Fruit for dessert doesn't have to be boring! Try adding some granola, nuts or heart healthy cereal for a bit of crunch and some added fiber. 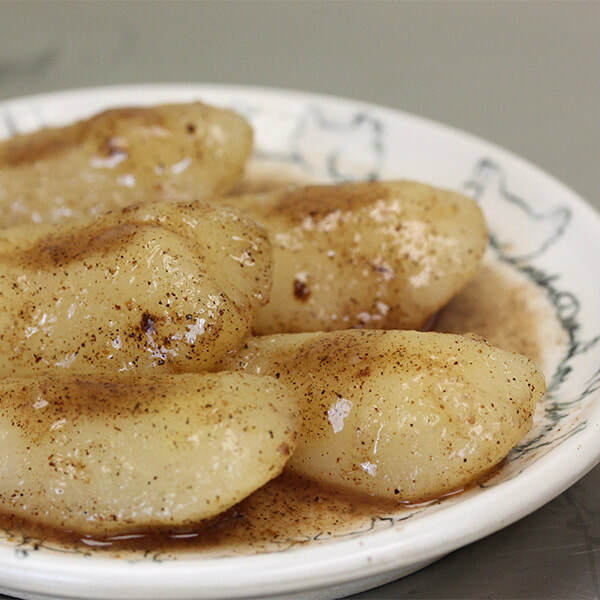 ​You can make these delicious pears using just cinnamon if you don't have the other spices. They will still taste great. Drain liquid from pears into saucepan and add cinnamon. If using nutmeg and ginger, add that too. Bring to boil; reduce heat and cook for 5 minutes. Add pears and remove from heat. Chill in refrigerator. If ginger was used, remove it before serving. Spoon pears and liquid over ice cream​.